The Cultural Presentations Section offers music, dance, Chinese opera, theatre and multimedia performing arts programmes throughout the year. The programmes range from the traditional to the cutting edge and offer Hong Kong audiences the best of local artists and international stars. 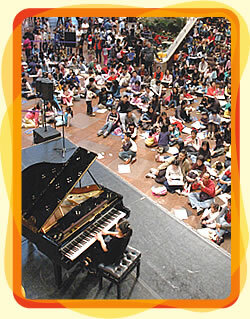 In 2006, 971 performances took place, attracting a total audience of over 520 900. Year 2006 was known as 'Mozart Year'. A number of excellent musical performances were held throughout the year to celebrate the 250th anniversary of the birth of Mozart. They included concerts by the Vienna Philharmonic, Camerata Salzburg, London Winds, the Vienna Boys' Choir, Anne-Sophie Mutter and others. A live relay of the Vienna Philharmonic concerts at the Hong Kong Cultural Centre Concert Hall to the piazza outside also drew large audiences. The finale of the Mozart Series, the Everlasting Mozart  Piano Marathon, was a resounding success. 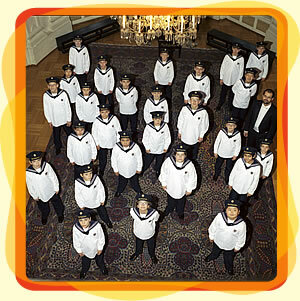 The angelic voices of the Vienna Boys' Choir provide a delightful evening of classical and light choral music. Thousands of music lovers take in the stunning performance of the Vienna Philharmonic on its return visit to Hong Kong, broadcast live in the piazza of the concert venue. Kids share the excitement of a six-hour piano marathon by listening to the music of Mozart and drawing pictures to celebrate the 250th anniversary of his birth. Highlights of dance programmes that were presented during the year include Russian Hamlet and Don Juan & Molière performed by the Eifman Ballet of St. Petersburg from Russia and A Midsummer Night's Dream by the Teatro alla Scala Ballet Company from Italy. Excellent performances by local dance companies were also staged and brightened the local dance scene. The return visit of the Eifman Ballet of St. Petersburg (Russia) brings to Hong Kong audiences the stunning visual effects of Don Juan & Molière. To commemorate the centenary of the death of the Norwegian playwright Henrik Ibsen, his masterpieces, A Doll's House, performed by Mabou Mines, a theatre company based in New York and The Wild Duck, produced by the Hong Kong Federation of Drama Societies, were presented by the Department. Mabou Mines' adaptation of A Doll's House, Ibsen's nineteenth-century drama combining feminism and realism, has been acclaimed by audiences. 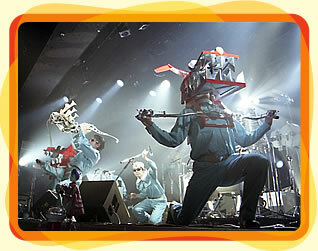 On the multi-arts front, an alternative concert by Maywa Denki from Japan that blended nonsensical mechanics with electronics captured audiences with its fun and uniqueness. 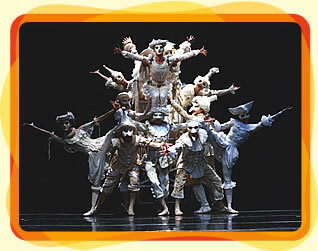 Snow White and the Seven Dwarfs, staged by Theatre Hikosen from Japan on their return visit to Hong Kong, was one of the greatest hits of the year, attracting many family audiences. To provide more family programmes, two annual series, Family Fiesta and Cheers, have been organised to coincide with the Easter and Christmas holiday periods, respectively, and feature both local and visiting groups. An alternative concert by Maywa Denki from Japan blending nonsensical mechanics and electronics captivates the audience with its energetic fun. Creating greater appreciation of Chinese opera is a key objective of the Department. In line with this aim, it organised the fourth Cantonese Opera Day, which was held on the last Sunday in November. The event was part of the Bravo! A Cantonese Opera Fiesta! series. New commissioned works included Recollection of Dreams, Nine Heroines of the Tang Dynasty and The Ravaged Plum Blossoms Bloom Again and a special programme was presented to commemorate the 50th anniversary of the death of distinguished artist Sit Kok-sin. 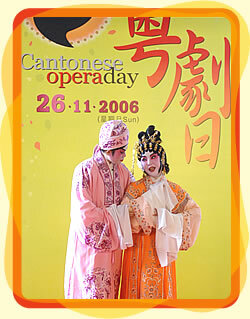 The annual Cantonese Opera Day enhances the appreciation of Chinese opera among the general public. Chinese opera highlights from other regions included the Peking Opera Gala and a re-run of The Peony Pavilion with the young cast of Kunqu Opera, produced by Pai Hsien-yung. The Department also co-operated with consulates-general from different countries and cultural organisations in presenting programmes. The sponsored and jointly presented events helped foster cultural exchange and understanding, and further affirmed Hong Kong as Asia's world city.